In a major setback to the ruling AAP in Delhi, President Ram Nath Kovind has disqualified 20 of its MLAs for holding offices of profit. NEW DELHI: Delhi Chief Minister Arvind Kejriwal today alleged that bypolls to 20 Assembly seats have been "imposed" on the people of the national capital and it would "hamper" development works for the next two years. In a major setback to the ruling AAP in Delhi, President Ram Nath Kovind has disqualified 20 of its MLAs for holding offices of profit. Kovind gave his assent on Saturday to the recommendation in this regard by the Election Commission. These MLAs were appointed parliamentary secretaries to assist ministers with their work by the AAP dispensation. 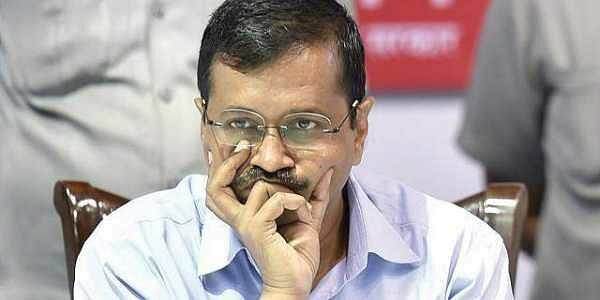 Kejriwal claimed the disqualified MLAs were not given a single penny by the Delhi government. "I had given responsibility of various works to these 20 MLAs. They were asked to take care of schools, hospitals, mohalla clinics. One MLA was given the responsibility of public schools. "This MLA used to visit school to check if teachers are present in public schools and spend from his own pockets to carry out this work. We have not given single penny to these 20 MLAs," Kejriwal said at a gathering during a Basant Panchami celebration here. The chief minister said that he is not afraid of the BJP as he is on the way of truth and the people of Delhi are with him. He said by imposing by-elections, the BJP has halted development works for the next two years. Earlier today, Deputy Chief Minister Manish Sisodia wrote an open letter to Delhiites, terming the disqualification of 20 AAP MLAs as "dirty politics" of the BJP and appealing to them to give a befitting reply to the saffron party. "They have imposed polls on Delhi by disqualifying our 20 MLAs. There will be model code of conduct and all government's works will come to a halt. "Thereafter, the Lok Sabha polls will come due to which model code of conduct will come into effect again, stopping development works. After this, (Delhi) Assembly polls will take place," Sisodia said in the letter. Sharing the letter on Twitter, Sisodia said that the BJP has "imposed" bypolls to the 20 Assembly seats on the people of Delhi, effectively hampering the development works in the city for the next two years.